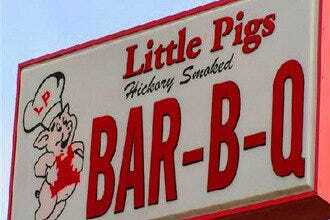 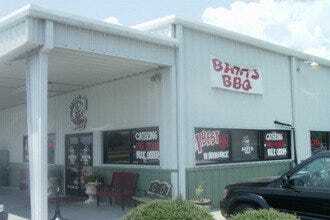 This great little barbecue and beer joint in North Myrtle Beach is famous for its ribs. 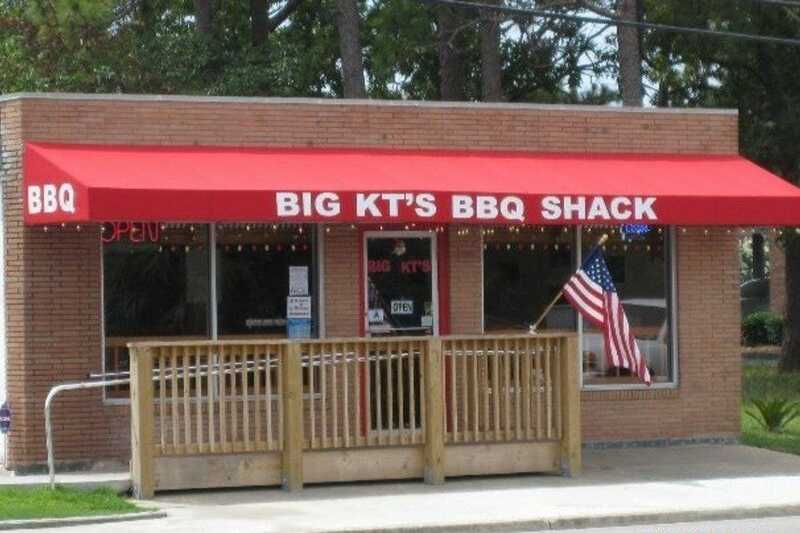 Slow smoked over hickory coals, this ribs are slathered in Big KT's special sauce and cut to make them easier for consumption. 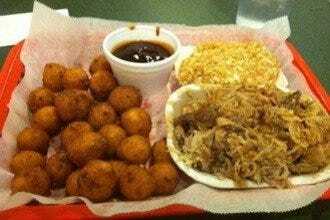 Still, there's a good chance you'll have BBQ sauce up to your ears before the meal is over. 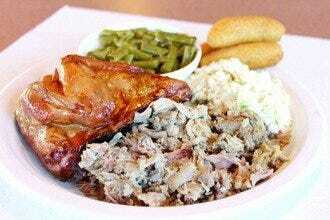 Side items include house specialties as tomato pie, Brunswick stew and hushpuppies.